On December 3, we're bringing back the ultimate holiday shopping experience. 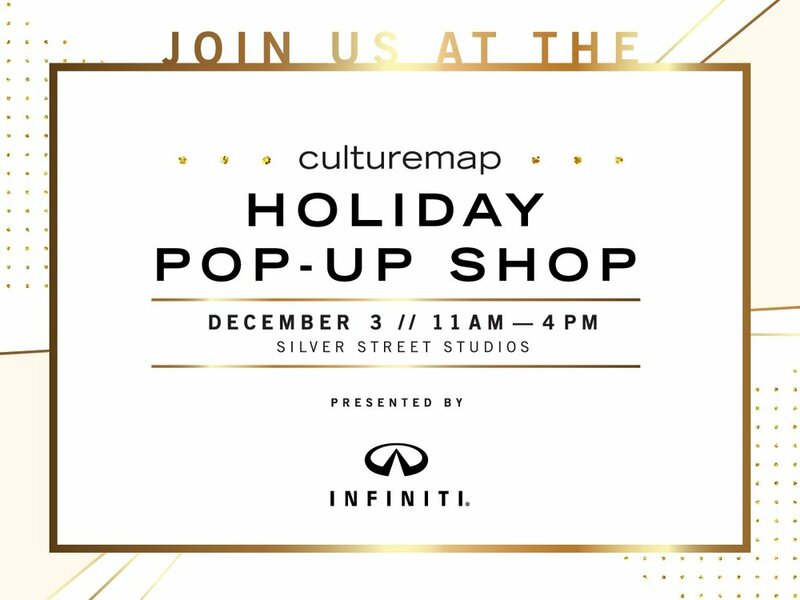 CultureMap Holiday Pop-up Shop, presented by Infiniti, is a curated holiday boutique featuring 25 of our favorite local retailers for men, women, kids, pets, jewelry, gifts, home, and gourmet food and beverages. Make sure to stop by The Community Cloth booth to shop our handmade products! But wait. It gets better. Enjoy cocktails, festive food, carolers, crafting, complimentary gift wrapping, and more while you shop. It's the perfect opportunity to get all your holiday shopping done in one place and support Houston's beloved local retailers. Stay tuned as we unveil all the fabulous details. Sponsored by Infiniti, Whole Foods Market, Gentleman Jack, Korbel, and Ketel One.